It's kind of hard to lock leather bags. 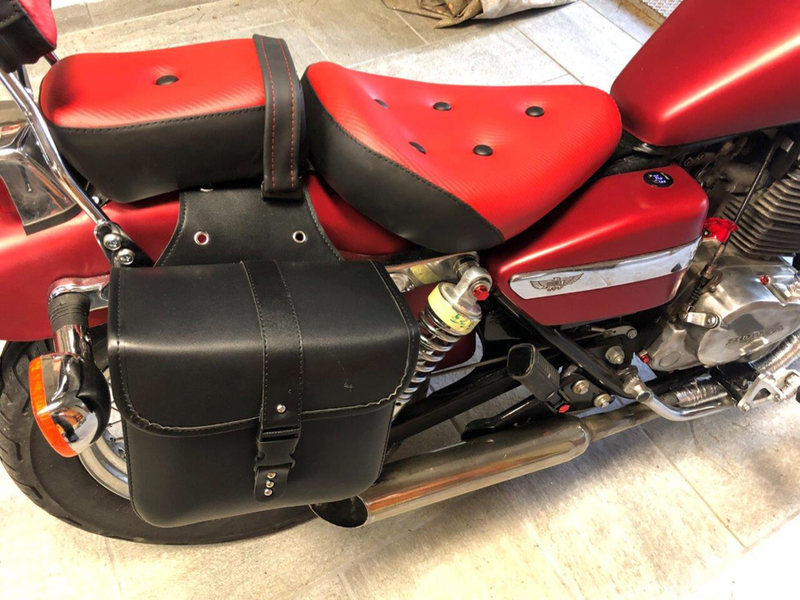 My Sportster has pegs mounted to the fender rails, and large brackets bolted onto the back of the hard leather bags that lock them in place. But the bags themselves don't lock. They have belt buckles on them. They are really annoying to get into. I would rather have the type of latch you have. I don't keep anything valuable in my bags, and if somebody wanted it, a box cutter would get them into the bags real easy, locked or not. I agree, it’s more the feeling of the security rather than the security itself as with a knife easy have access on bags. In any case I am keeping the chain locker, used when parked and a rain suit nothing expensive.